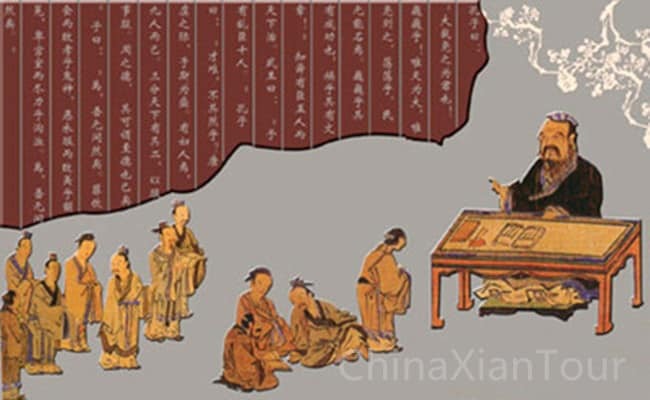 Confucianism, one of the hundred schools of thought in the Spring and Autumn Period (one of the most turbulent periods in Chinese history), is an academic school founded by Confucius. Then it is developed by Mencius and collected by Xunzi. These three are the most important figures of Confucianism. 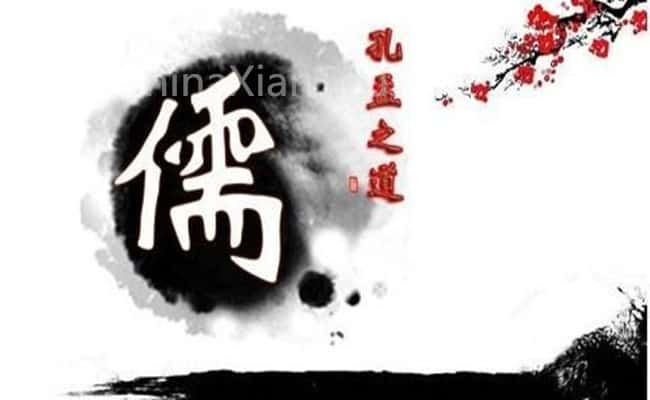 Confucianism takes “Ren (humanity)”, “Yi (morality)”, “Li (propriety)”, “Zhi (wisdom)” and “Xin (faith)” as the most important five moral characters. It emphasizes the moral cultivation of the gentleman, the complementary of benevolence and propriety and the five ethical relationships and family ethics. These concepts are embodied in various Confucian classics, such as Four Books and Five Classics. Four Books mean Great Learning, which consists of a short main text attributed to Confucius and nine commentary chapters by Zeng Zi (one of the disciples of Confucius); Doctrine of the Mean, which demonstrates the usefulness of a golden way to gain perfect virtue; Analects, which is a compilation of speeches, disciples and discussions by Confucius; Mencius, which is a collection of conversations of the scholar Mencius with kings of his time. Four books illustrate the core value and belief systems in Confucianism. 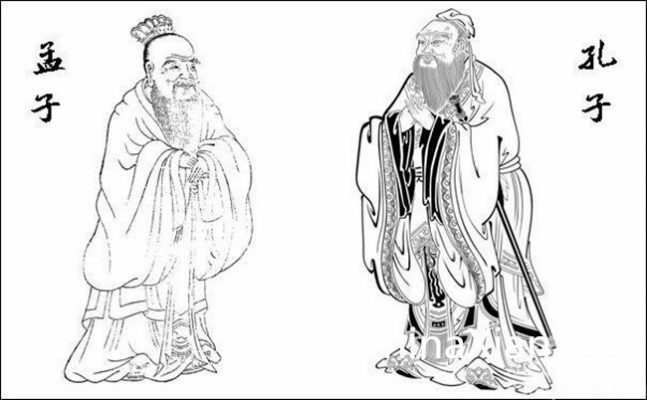 They are selected by Zhu Xi (one of the most famous ideologists in Chinese history) in the Song dynasty to serve as general introduction to Confucian thought. And later in the Ming and Qing dynasties, they served as the core of the official curriculum for the civil service examinations. Five classics refer to Classic of Poetry (Shi), which is a collection of 305 poems with different styles; Book of Documents (Shu), which includes documents and speeches written by rulers and officials of the early Zhou Dynasty and before; Book of Rites (Li), which describes ancient rites, social forms and court ceremonies; I Ching (Yi), which contains a divination system comparable to Western geomancy; Spring and Autumn Annals (Chunqiu), which records the history of the State of Lu(a ducal state in Spring and Autumn Period). 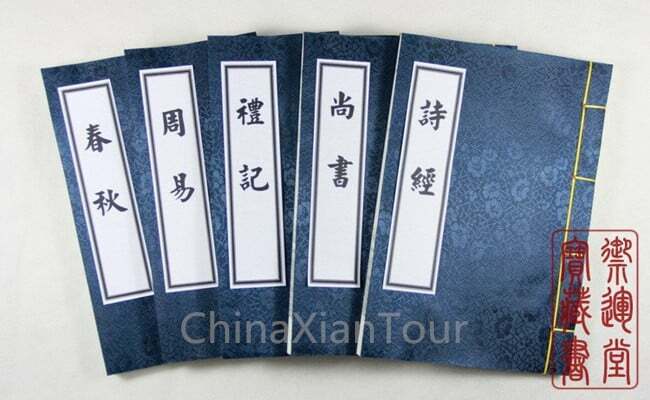 Actually, the Five Classics are five pre-Qin Chinese books that form part of the traditional Confucian canon. During the Western Han dynasty, which adopted Confucianism as its official ideology, these texts became part of the state-sponsored curriculum. It was during this period that the texts first began to be considered together as a set collection, and to be called collectively the “Five Classics”. 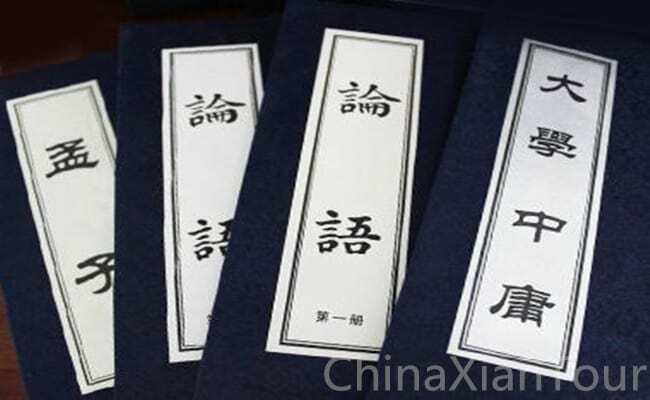 In feudal society of China, Four Books and Five Classics are used as propositional books and textbooks for selecting talents in imperial examinations. Through Four Books and Five Classics, Confucianism spread their thoughts to East Asia and even the world. As the most valuable system of thought in the east, today it is in a sense a synonym for sinology (traditional culture). In the same, Confucianism is the core and subject of “sinology”. Nowadays, Confucianism is rooted in China’s inherent value system and can adjust itself at any time, adapting to the changes of the times and society. Also, there are lots of works of art and literature which influenced by Confucianism stored in Shaanxi History Museum for people to visit.